Over the years, a number of local and national foundations, corporations, and nongovernmental organizations have recognized the significance of scholarship and research at Clark University by supporting researchers, fellowships, programs, facilities, equipment, and more. At Clark, the Office of Corporate and Foundation Relations (CFR) works to develop and sustain such relationships and obtain grants and gifts, including sponsorships and gifts-in-kind. 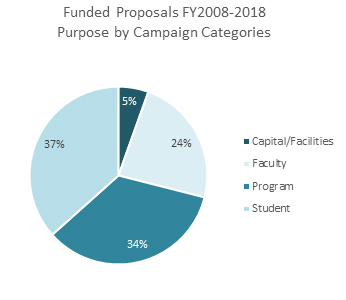 Our office collaborates closely with faculty and staff to identify potential funders and to develop and submit strong, compelling proposals to foundation and corporate funders. Stewardship of current grants and gifts from these sources also is CFR’s responsibility. Likewise, the Office of Sponsored Programs and Research is involved with the internal review process for many grant proposal submissions to private foundations, corporations, and nongovernmental organizations. The two offices work together to ensure that both funder and Clark guidelines are met. We offer services to increase your success. Please contact CFR before reaching out to funders, and as early as possible before proposal deadlines, to get the most out of the resources available through our office. Facilitating interactions and managing relationships with a broad range of foundations and companies. Researching and identifying prospective funders. Compiling and disseminating general and targeted funding opportunities. Assessing a project’s funding viability and advising on strategies, based on funder objectives and interests. Organizing and preparing briefings for foundation and corporate visits. Writing, reviewing, providing feedback on, and submitting letters of inquiry, and proposals; reviewing and providing feedback on accompanying project budgets and other materials. Supplying institutional information, providing required attachments, and helping obtain signatures. Stewardship of current funding, including assisting with and submitting reports. 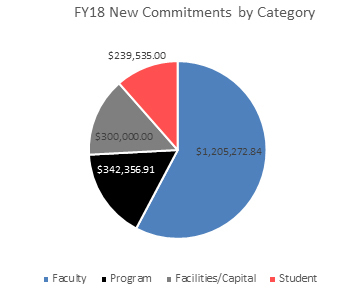 For help with your proposal or Letter of Inquiry (LOI) preparation, the Clark University Office of Sponsored Programs and Research has tools and guidelines to assist and guide you through the preparation and budgeting. We then can provide assistance with using these tools.